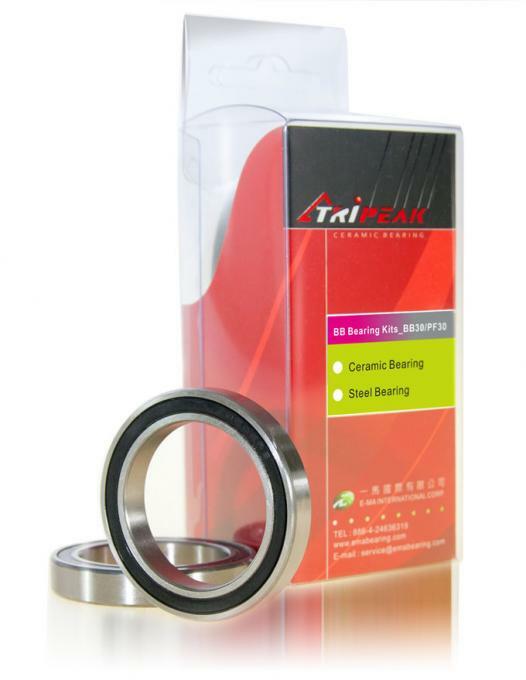 This is a Tripeak complete BB30 ceramic/Steel bearing kit. It comes with the highest grade German Kluber NB52 grease to give it the best corrosion protection possible. This also contributes to the lowering of friction when operational. Fitted with G5 Si3N4 ceramic balls which reduces the weight by up to 40%, and non-contact rubber seals making the ceramic BB30 super smooth and extremely quiet.